Next week will mark ten years since I first convinced someone to actually pay me to work with teenagers and lead a youth ministry. Since I love what I do, it doesn’t really feel like it’s been ten years (although some of those years felt longer than others). But in some respects, ten years is a long time–especially when I think about the fact that my soon-to-be kindergartener will be entering 10th grade in another ten years. Considering that length of time, I feel like I ought to have gained a wealth of knowledge–perhaps a treasure trove of youth ministry “secrets”–that I could pass on to youth workers who are where I was ten years ago: In their early 20s, ready to change the world, and without a clue about what they’ve really gotten themselves into. There are 7 Secrets to Being an Effective Youth Worker. Or 3 secrets to a great outreach event, mission trip, or small group ministry. It’s a myth, because there are no “secrets” to any kind of ministry. I’ve made it a practice to meet with youth pastors I really respect to pick their brain about how they lead their youth ministry and to occasionally observe them in action. When I find out their “secret sauce” for a great youth ministry, I find that they really don’t have a secret at all. Usually, under the hood of a solid youth ministry is this: Solid, Christ-centered and Holy-Spirit driven leadership; compassion and love for teenagers; and a team of adult leaders who simply want to see God glorified as he transforms the lives of teenagers and their families through a relationship with Jesus. There are many great strategies, programs, and leadership techniques that can help us be more effective as leaders, but there is no “secret” to a great youth ministry (so stop trying to find it). This program/curriculum/mission trip/conference will save and transform your teenagers. There are great organizations, trips, and publishing houses out there, and by all means, use them wisely–many of them are worth every penny you spend on them. But even the best ones are just tools, because it’s the Holy Spirit who works in teenagers’ lives, not programs or events. Don’t be surprised if something that was great two years ago doesn’t have the same impact that it used to. And don’t buy into the myth that if you could just find the right trip or small group curriculum, it will revolutionize your youth ministry. If you’re new to youth ministry leadership, let me share with you a piece of information that will come in handy: Much (if not most) marketing among Christian organizations and curriculum providers is downright sinful, because some organizations will do (and tell you) just about anything to get you to buy what they are selling. But that’s a post for another time. Growth in numbers = effectiveness. Growth in numbers is great. It was celebrated in Acts, and we are foolish (and a little lacking in trust in God’s abilities) if we believe that the days of God bringing thousands of people to Jesus at once are far behind us. But if you think you’re only doing a great job if numbers are going up, then you’re in for an anxiety-riddled and insecure career in youth ministry. Smaller youth groups create better relationships. I’ve seen a small youth ministry be more dysfunctional than you can imagine, and I’ve seen amazing relationships fostered among teenagers in large churches. It’s not about the size, it’s about the environment. Can it be challenging to create a family feel in a larger youth ministry? Absolutely. But whether Christ-centered relationships are happening in a youth ministry depends more on the leadership than the numbers. Younger adults make the best youth leaders. While I love recruiting college-age adults to be on our team because they usually have a good amount of energy and free time, the leaders I really covet are those who have been around the block enough to know what it’s like to follow Jesus through plenty of difficult times. If you’re new to youth ministry, do yourself a favor: find some great, Jesus-lovin’ adults in their 40s or later to be on your team. You won’t regret it. If you’re great with teenagers, you’ll be a great youth pastor. Anyone can be great with teenagers. All you have to do is love them unconditionally and with an abundance of compassion, and they usually will enjoy being around you. But not everyone can be a good ministry leader. Unfortunately, many youth pastors are hired because they are great with teenagers, but they lack the maturity and skills to be a leader in their church–this was certainly my story when I started out. Most young youth pastors need to work on their leadership skills more than their relational ministry skills. 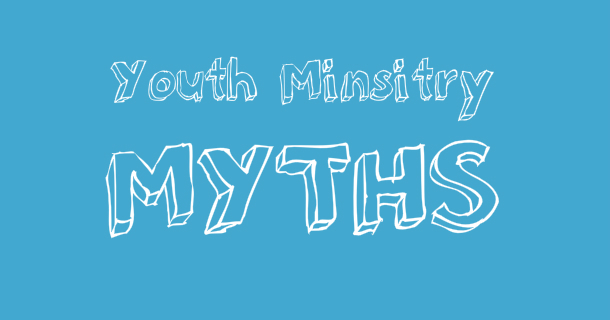 What are some of your favorite (or not-so-favorite) youth ministry myths? Do you like your youth ministry volunteers? Do you want them to keep serving with you? Then you’ll want to get pretty well acquainted with the following list. Not sure where to start? Here are some directions: 1) Apply generously to everyone on your youth ministry team. Lather if needed. 2) Rinse. 3) Repeat. What else to volunteers LOVE? It’s a gift. Retreats are fun and refreshing, and not just for teenagers. By providing a short retreat for our leaders, we communicate that we care for our leaders. It’s a weekend where we can care for our leaders by helping them relax, focus on their relationship with God, and shoot guns together (we live in Utah, so it’s a pretty common pastime). By making it free for our leaders, it’s a very nice “thank you” present. It builds community among our leaders. I look forward to this weekend every year, because it’s a time when I get to hang out with our volunteers not as leaders, but as friends. Not every leader is able to make it to the retreat, but for those who do, they get to know their fellow leaders in a way that just can’t happen at a youth leader meeting. It helps our leaders be better leaders. It’s just one night a year, but this retreat speaks volumes to our leaders that we desire for them to be healthy people and faithful followers of Jesus. When we help and encourage leaders to take some time off and spend time with God, they become better leaders in the process. What are ways that you care for your youth ministry leaders? Video of the Week: Mark Driscoll, "Serving is Awesome"
Early on as a youth pastor, “looking for volunteers” was always a struggle for me. I’m not one of those guys that can convince people to do just about anything or a salesman who can make an all-night lock-in seem like a weekend in the Riviera. So, I was always on the lookout for volunteers, and often became frustrated when I had a hard time getting enough adult volunteers to come on a retreat or just have a weekly youth group meeting. Somewhere along the way, I came to realize that I was approaching it all wrong. I had been looking for volunteers, people whom I could convince to give up some of their time so that we could have a youth ministry. And when my initial “pitch” didn’t convince enough people to volunteer, I would (embarrassingly) at times resort to other tactics, such as guilt, to get the job done. That, I now know, is an awful way to get the best people to volunteer in youth ministry. The switch came when I had a simple realization that is probably obvious to most of you: Being in youth ministry is fun, both as a staff member and as a volunteer. I started asking myself why I–as a college sophomore–started hanging out in the high school ministry at the church I attended. First, someone asked me to. Second, it was fun. I had a blast, and Sunday nights with the high schoolers became the highlight of my week. Third, I felt like I was contributing to our church and giving to God of my time. I was a relatively new follower of Jesus, and it was a practical way for me to surrender myself to serving Jesus. When I realized these things, I stopped looking for volunteers. Instead, I resolved, I would look for teammates who loved to serve. I did my best to learn from others who are really good at building teams, one of whom I’m blessed enough to have an office next to. Instead of asking people to be “volunteers,” I used language such as “servant leader” and “teammate” when asking them to serve on our team. And I pitched being on our team as a great way to have a lot of fun while serving Christ and his kingdom. So, here’s my advice to you: stop looking for “volunteers.” Sure, “volunteer” is a great word that those of us in ministry have used for years. You’ll even find it on this blog a bit. But you might be surprised at many more quality people you have on your team when you stop looking (or guilting into service) timid volunteers who simply weren’t quick enough to come up with an excuse not to volunteer, and when you start looking for people who love to serve and love to have a lot of fun doing it. What about you? What are some ways to find great people who love youth ministry to be on your team? 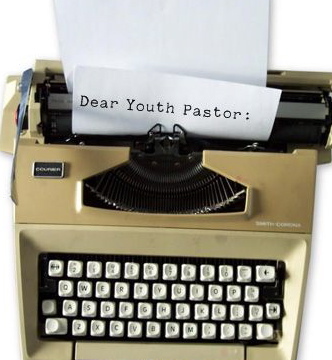 Dear Youth Pastor: My Volunteers are Too Involved! Not too long ago, my senior pastor came into my office to let me know about a new young couple who had relocated to our town and had recently become members at our church. He explained that they were both interested in working with teenagers, and had led the youth ministry at their former church before they moved. My senior pastor thought they would make great leaders and asked if I wouldn’t mind meeting with them to talk about adding them to our volunteer team. Well, we met. And they became leaders. I knew it would be trouble from the start. The first few weeks weren’t so bad. I did my best to keep them busy with jobs like organizing the snacks in the church kitchen and cleaning up after the decorate-your-friend’s-face-with-ice-cream-toppings game. But then I went on vacation. Since none of my other leaders ever really stick around for more than a few months, I asked this new couple to lead youth group for the two weeks I would be out of town. It was a complete disaster. When I came back, they were energized, said they really enjoyed serving, and asked how they could serve more and give more time to our youth ministry. They even offered to lead youth group once a month so that I could have a week off from having to prepare a lesson! If I don’t do something quickly, I’m afraid they are going to take on more responsibility and become more involved. What should I do? Assign them tasks that keep them away from students. If they want to help, by all means, let them help! Find things for them to do that don’t involve a lot of contact with students, such as setting up games or running the sound equipment. You need to be careful on this one, though. It sounds like they might be the kind of leaders who will try to mentor students during such tasks by asking one or two to help them, so watch out for that sort of thing. Avoid meetings of every kind. When you meet together with your leaders, chances are they might be encouraged by your time together, and rejuvenated enough to keep serving. 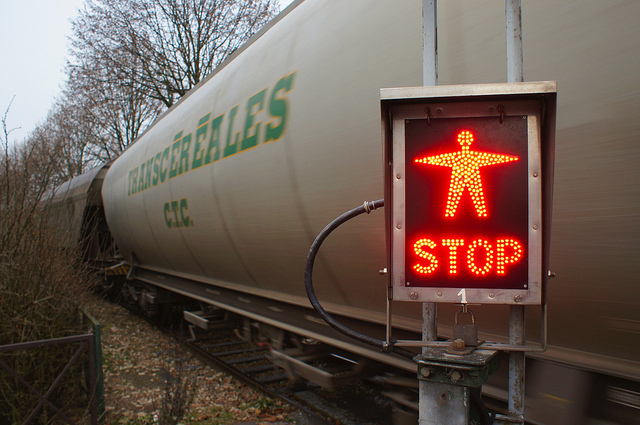 Over-excited leaders will begin to lose steam if they can’t connect with you to discuss any issues they might encounter as leaders or to simply ask for advice. When you’re on vacation, don’t ask them to help lead youth group; simply cancel it. From your letter, it sounds like you need to understand a key principle of youth ministry: youth ministry doesn’t happen without you, the youth pastor. Make sure you’ve got a hand in everything that goes on in your ministry. Not only will that stop volunteers from meddling, but it will keep you right where you belong: at the center of your youth ministry. I hope this helps, Worried. Hopefully, you’ll be back to running YOUR ministry on YOUR terms sooner rather than later. It’s Volunteer Week here on the blog. Monday, I covered how to ask someone to be a volunteer on your youth ministry team. Yesterday, it was the interview and screening process. Today, we’ll talk about how to get your new volunteers off on the right foot. Have a short “trial” period where leaders simply spend time getting their feet wet and observing the youth ministry. When new leaders come on board, I usually ask them to simply join us at our Sunday morning large group gathering to observe what’s going on. I stress that their job is meet a few students, get an idea of what we do in our ministry, and make sure that they want to commit to being a leader. Not only does it take some pressure off of them right at the start, it also gives them the space and freedom to build relationships with students and other leaders, as well as to perhaps decide that being a youth leader isn’t for them. Introduce new leaders. We don’t usually do this in a formal manner, simply an introduction “up front” on a Sunday morning. In the past when we’ve had a print newsletter (which we don’t currently do), I’ve also included a section where new leaders share a few things about themselves. Make sure your students and other leaders know that you’ve got great new additions to your leadership team! Follow up and check in. In some ministry contexts, you may have a chance to see all your leaders on a weekly basis and check in with them individually. On our team, I might see a small group leader only once a month, and so I make sure to call new leaders to see how their group is going, what I can do to support them, and if they have any questions. In recent years I’ve been blessed with a team of small group leaders who pretty much like to hit the ground running and don’t need a lot of direction, but it’s still nice for leaders to know you are glad they’ve joined their team and that you’re praying for them. Never stop growing. Your team will never be set. Even if you feel like you’ve got a great team and enough people to do the things God’s calling you to do as a ministry, you still need to promote a culture of leadership growth. Make sure you encourage your leaders to grow in their relationship with Jesus, and as leaders. Look for new ways to get them involved and to enhance their skills as leaders. And continue to be on the lookout for new leaders that might be a great addition to your team, even if you don’t feel like you need a ton of new leaders. (By the way, if you’ve ever felt like you have “enough” leaders, you may not have much of a vision for the ministry you lead.) Keep growing as a team, both as individuals and in terms of how many teammates you have. QUESTION: How do you help new leaders get started on the right foot in your ministry? This week is Volunteer Week here on the blog. Yesterday, I wrote about how to ask someone to be a volunteer on your youth ministry team. Today, we’ll cover how to interview and screen a potential leader. This is the step most youth pastors neglect or skip over. Many youth workers are good at “gathering” and getting people to be on their team. Many are good at caring for and equipping their team once they’ve got their leader in place. However, far too many leaders are added to our teams without so much as an interview or even a background check. If you’re going to build a good team, you need to make sure you’ve got the right people on your team. Once you’ve got someone who wants to be on your team, how to you get to know them so you know they’ll be a good fit? 1) I ask a potential leader to consider applying for a volunteer position on our team (covered in yesterday’s post). 2) Review the application and conduct a background screening, including calling references. Even in a short application, you can usually get a good idea about a person’s interests, personality, and experience with teenagers. And whatever you do, don’t skip the background screening, even if you feel like you know the person very well. Use a reputable company that specializes in non-profit volunteers. Not all background screening companies have access to the same court records online, so make sure you know what your screening includes. For instance, some county or state records aren’t available electronically, so an “instant” online search by a company won’t catch convictions in those areas. For the record, we use Secure Search at our church, but good companies that cater to church volunteers are becoming more prevalent, so make sure you find one that works for you. You may already have a church or denominational policy on this, so make sure you check with your denomination or your church’s lawyer, especially when needing advice about a red flag on a criminal background check. 3) Conduct a face-to-face interview. Usually, the interview occurs in my office and lasts about 30-45 minutes. I ask them about their walk with Jesus and why they are interested in working with teenagers. I also describe in detail what their potential role would be, and what their responsibilities and expectations are. This is usually a laid-back time where they are able to ask their own questions of me as well. 4) Extend and invitation to join your team. Or, explain why being on your team isn’t a good fit for them at this time, and find them a place they can serve in your church. When you do extend an invitation to be on your team, make sure you give a start date and outline their next steps, which we’ll cover tomorrow. It may not be a paying job, but chances are they’re excited to get started, so don’t leave them hanging or be unclear about what they need to do next. And if you do need to say, “no” or “not at this time,” do it lovingly and give clear reasons. It’s okay to say “no” to someone you don’t think will be a good fit or would make a good mentor for the teenagers you serve. You don’t owe everyone a spot on your team, but you do owe potential volunteers at the very least a phone call and a concerted effort to make sure they know they’re appreciated and that there is a place for them to serve somewhere. QUESTION: Do you have a process for interviewing potential youth leaders? While I’m always happy to welcome new people onto our high school ministry team, the spring semester is the time when I tend to focus a lot more time and attention on building and adding to our team. I’ve found that it’s easier to recruit and meet with potential volunteers in April and May than it is in July and August when people are on vacation and I’m gearing up for the fall semester. If you tend to find yourself scrambling for volunteers just before your fall kick-off, you might try carving out some serious time in the next month or two to recruiting new leaders to add to your team. Ask people (including students) who they think would make a good leader. I don’t know everyone in our church, and even when I worked in a small church of 150 people, I didn’t know everyone even then! Don’t limit your pool of potential volunteers to people you already know. Ask people you trust–including students–who they think would make good leaders. You might be surprised at the names you get. Every spring, I ask our current leaders to give me two names of people they think might make a good addition to our team. As our team has grown over the past couple of years, we’ve had a lot more diverse of a team than if I did all the recruiting myself. We even have a leader who has single-handedly recruited four other great leaders to be on our team in the year and a half she’s been a volunteer. Cast the net wider by asking others to help you identify potential leaders. Know the kind of people you’re looking for. What kind of people do you want on your team? What do you believe it takes to be a small group leader, an event coordinator, or a worship mentor? What kind of spiritual maturity is required for each particular role you’re filling? You don’t want to be too limiting, but if you know the kind of people you’d like to have on your team, it will make it that much easier to identify potential leaders. Make a personal ask. You can’t put an announcement in the church bulletin that you’re looking for leaders and expect to be suddenly swamped with great people wanting to be a youth volunteer. When you ask someone to be a volunteer, ask personally, face-to-face if possible, but at the very least over the phone (and I don’t mean via text). No matter how busy you think you are, or how big your ministry is, there is no reason you (or another staff member, if you have more than one) can’t take the time to personally contact potential volunteers. It doesn’t take a whole lot of time to pick up the phone and have a short conversation inviting someone to consider being a leader. And by the way: if you can’t describe the vision for your youth ministry and what it means to be a volunteer leader in two minutes or less, then you’re making it too complicated. Provide clear roles for leaders. When you ask someone to be a youth leader on your team, make it clear what you’re asking them to do. Be specific about what their role will be, what the expected time commitment is, and when they would start. Most people in our culture have a ton of things going on, and if you’re vague about what you expect them to do, they’ll either not want to commit to you as a leader, or they’ll join your team and become frustrated because what they end up doing isn’t what they thought they were signing up to do. Get an application in their hands. If you don’t have a written application, you need to develop one. Yes, you are recruiting volunteers, but in a sense, they are still applying to be on your staff–as an unpaid staff member. By having an application you can give to people you are asking to be on your team, you not only have a good way to start knowing whether someone is going to be a good fit, but it adds a level of professionalism and shows that you’re serious about getting people on your team to love Jesus by loving teenagers. Tune in tomorrow for how to interview and screen potential volunteers! UPDATE: Check out the post on interviewing and screening leaders here and the post on getting leaders started on the right foot here. Question: How have you had success in recruiting people to be on your team?